North Carolina has a new Teacher of the Year. Mariah Morris, a second-grade teacher at West Pine Elementary School in Pinehurst, was named the 2019 Burroughs Wellcome Fund North Carolina Teacher of the Year on Friday during a luncheon in Cary. The 13 year veteran has spent the last three years at West Pine where she advocates for Science, Technology, Engineering and Mathematics (STEM) education throughout Moore County Schools. Here is the full news release announcing the Teacher of the Year selection. Morris believes a curriculum that incorporates STEM education provides meaning and relevance. Morris was selected Teacher of the Year from a field of nine finalists representing the state’s eight education districts and charter schools. She succeeds the 2018 Teacher of the Year, Freebird McKinney, a social studies teacher at Walter M. Williams High School in Burlington. As Teacher of the Year, Morris said her emphasis will be on STEM learning. Morris grew up in Durham. She was a N.C. Teaching Fellow at UNC Chapel Hill. 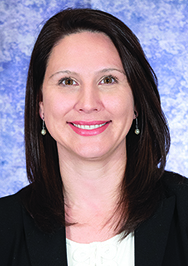 Morris will spend the next school year traveling the state as an ambassador for the teaching profession as supported by Voya Financial and the North Carolina Department of Public Instruction. She will receive a one-time cash award of $7,500. So grateful for teachers like Mariah Morris. All children can benefit from her methods and learn so much from teachers who love their careers.